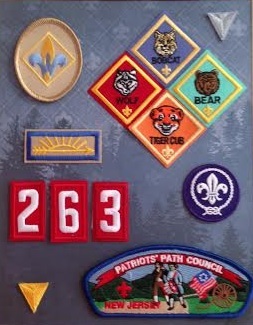 In a few weeks, my oldest son will “graduate” from Cub Scouts at our local pack’s Blue & Gold dinner. He’ll cross over into Boy Scouts and continue his journey there for as long as he chooses to stick with scouting. Five years ago, when I agreed to co-lead his den with two other moms I had only recently met, I had no idea what lay ahead for all of us. I know now, that this is the time of year for parents of Kindergarten sons to start discussing scouting for next year. But since he was my first-born, I was clueless that we needed to get involved in den formation, leadership, etc. So instead of having a plan in place in the spring, it was late June before I figured out what needed to be done. Thankfully, I wasn’t the only mom in the dark. Once we realized what had happened, we clueless moms quickly got our acts together and became a den of nine. Eight of these nine boys were first-borns in their families. It was their job to break us into the world of scouting, just like they break us in as parents in every other aspect of life. We were initiated right alongside them. 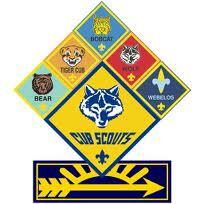 This new Cub Scout den was made up of all different types, shapes, sizes, abilities and personalities. Some were so shy, they barely spoke. Some were so outgoing, they never stopped chattering. Some were athletic; others were awkward. Some were funny, some serious, some rebellious, some rule-followers. The only thing they had in common was that they all had clueless parents. As both den leaders and scout parents, we grew along with them. We sat on each other’s kids when we couldn’t tame our own. We realized, through carpools and meetings and scouting event planning, that we needed to be a mini community. This group of nine families became my first set of parent friends for the school-aged years. We helped take care of each others’ kids and our kids learned to have each others’ backs as well. 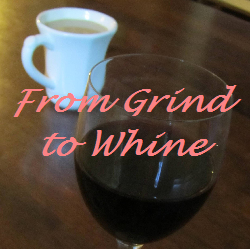 We learned that leading, much like parenting, was a group effort. As the boys got older and went from being adorable little Tigers, to Wolves, to Bears, to Webelos, and Arrows of Light, our den of nine stayed strong. While other dens dwindled in numbers, our boys stayed, with only the occasional prod to the parents to stick with it. As a result, five years later, these nine boys became family. They will always be OUR kids. Even as they grow apart and their friendships ebb and flow, they will always have these five years of experiences together. We tried to make scouting educational for the boys, and we tried to make it fun. Some meetings were awesome and some were agonizing. Sometimes the boys had a blast, sometimes they fought like brothers. Some days we ran out of time and wished we had longer, and some days we watched the clock tick down and wished it was time to give them back to their parents. We taught and we tried. We laughed, yelled, and cried. But, in the end, five years later, these nine boys who had nothing in common besides the ignorance of their parents are graduating. TOGETHER. I couldn’t be happier that I’ve been able to be a part of this den’s experience. I initially felt suckered into my role as unsuspecting den leader, but I wouldn’t trade it for the world now. I am so proud of these boys and their families for making it through from start to finish in such a fantastic program of adventure, community service, values and fun. Here’s to the kids from Den 5 — we never left a boy behind! Congratulations! Now, you get to enjoy the confusion and chaos of a whole new program…Boy Scouts! Completely new and different adventure. Enjoy! — Tim Taylor, Port Orchard, Wash.
All of this is so very true. Congratulations! What a beautiful commentary. It takes me back to the beginning of my son’s journey. He went all the way and I hope that this mom has an experience that is as good as mine has been.